A special at Man Vic' 26 040 & 26 001. Special at Crewe. 26 007. The Wye Knot. Open day Crewe. Note very young spotter with pen and book. Ref the top photo, that was the "North West Diesel Day" on 25th April 1992, and that train was the 08.52 Manchester Victoria - Bolton. 26040 failed at Bolton and 26001 took the train on to Preston where it terminated, the two locomotives spent the rest of the day dumped in the parcels sidings at Preston Station. Ref the top photo, that was the "North West Diesel Day" on 25th April 1992, that train was the 08.52 Manchester Victoria - Bolton. 26040 failed at Bolton and 26001 took the train on to Preston where it terminated, the two locomotives spent the rest of the day dumped in the parcels sidings at Preston Station. The train was the 08:52 Manchester - Barrow. 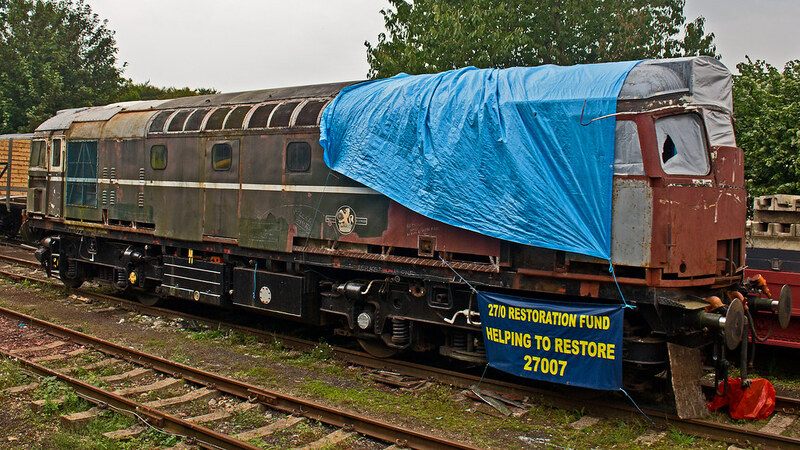 26001 was the 'failure' & was removed at Notlob - a brake fault. I was on it, but decided to also jump ship (to head back to Victoria for a following service hauled by a 60 IIRC). Lucky really, as another brake fault (on one of the coaches) added to the farce further up the line, where it was subsequently caped at Preston as you say. Yes that was some day, I had based myself at Blackpool and traveled up to Manchester in the morning (just a DMU), remember passing the failure on the way. Spent the morning at Longsight open day (26041 was an exhibit) before heading back to Victoria for the 14.48 Manchester Victoria to Preston behind 60095, spent the afternoon at Preston before an early evening trip to Liverpool behind 20059 and 20168 then back to Blackpool with a 31 on front (that train is not mentioned on the 6 bells website) Must scan my photographs of that day sometime. Inverness 26-09-80, headlights do work! A few from the 1980s. The first two of these I've posted elsewhere, but still worth a repeat for rarity value. That 27 and 25 coming into Leicester is just mental, what a combination. 26030 arrives at Helmsdale on 05/05/80 with the 11:10 Inverness - Wick service. 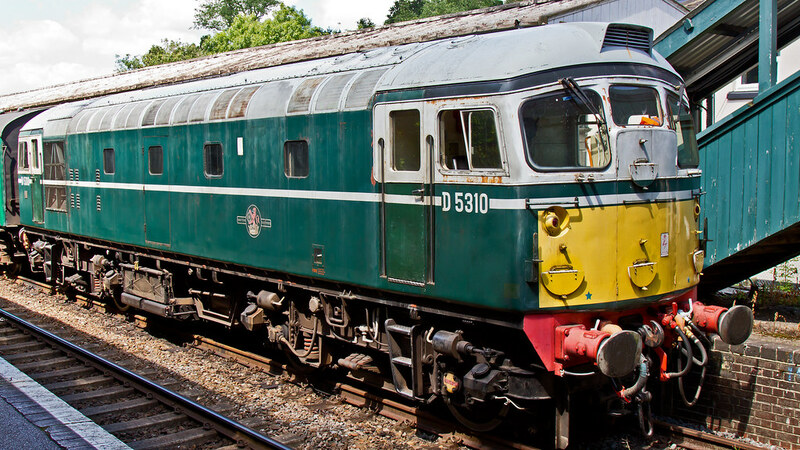 Being a bit odd, I've noticed that the green 26's had the later bogies with the coil sprung bolsters, but yet I've only seen one picture showing a set of leaf sprung bolsters, and that was on a much later machine. 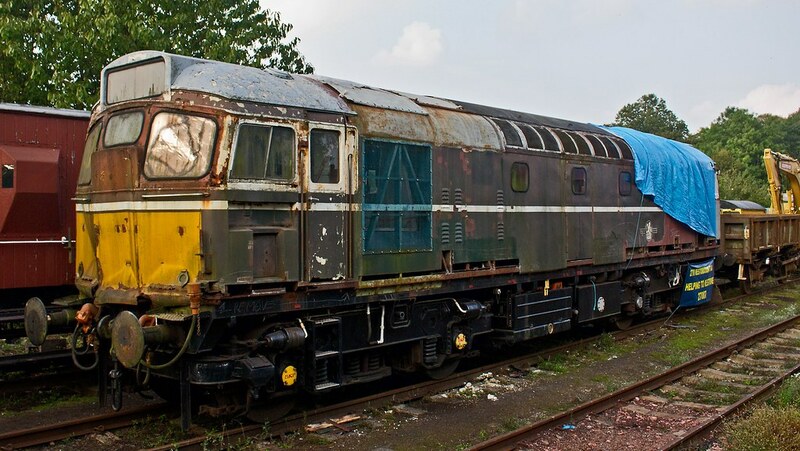 Presumably the bogies were swapped around all the fleet over the years? Here are some dodgy instamatic snaps of class 26s from one of my rare Scottish trips. 26020 and 25025 being scrapped at St Rollox, 26/3/78. 25238 and 26011 at Inverness depot, 25/3/78. 26029 at Inverness depot, 25/3/78. Watched a dvd a while ago and there was a piece at the end showing to green 27,s going to the north from Inverness double headed and lovely sound they looked great anyone know how long the service lasted for? Services north of Inverness were usually in the hands of double headed 26s. I've never seen any photos of 27s, however, it is entirely possible. 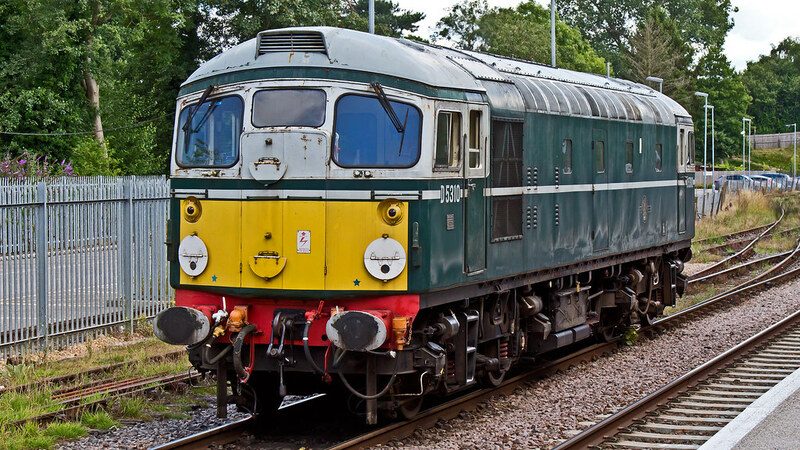 Class 37s took over the services from the summer timetable 1982. Here's is a pair of 26s waiting to depart Inverness. Might have beeen 26,s they were green and at the time had celebrity status thats all I can remember thanks for info. This one was a bit of a surprise that I found whilst I was on a 2-week All-Line rover ticket in June 1985. In other words, 26 037 and 27 037 double heading the service! Both locos worked to Wick. and then the return service back to Inverness. I did ask a question about this working on the Fourfooteightandahalf Forum last year, as I wondered whether this working had been a "Fix" by someone in Control, particularly as they were both numbered 037, but nobody appeared to be aware of the working in question and that it had taken place that late after the 37's had taken over..
27034 at Tinsley depot i think in 1984 , returning back to Scotland after repairs at Swindon works , it also went via Westbury open day !